So you have fallen in love with a house. You are now serious about buying the home, and you need a good mortgage lender on your side. Where should you go? The first step is to ask friends, relatives, and trusted colleagues for referrals. Ask these people what they liked or did not like about their lender. Make sure to ask a diverse group of people for referrals to get an idea of similar experiences. For example, if you ask a wealthy friend who has lots of rental property and has built a strong business relationship with their lender, it is likely that lender offers them the best possible rate and takes care of the client very well. Take all of the situational factors into consideration when choosing. Referrals are a great place to start because most of the time past clients have no monetary incentive to give a good referral. They do it because they honestly liked their lender, and felt they did a good job for them. Likewise, you can also ask your realtor or appraiser for referrals. It is likely they work closely with one or two lenders they trust. This is exactly how my wife and I found our mortgage lender, and it was a wonderful experience. We had a great realtor who was referred to us by a trusted friend, and that real estate agent recommended a great broker. With the internet and other technological advances these days, we are often inundated with information overload. Type in “find a good mortgage lender” in an internet search engine, and thousands of mortgage lender’s numbers will come up. While the internet can be a good tool for researching rates and fees, I would not suggest using it to find a lender. I almost made this mistake the first time we were looking for a real estate agent, and like an old girlfriend, it took me months to break it off with her. The lender you use should be local to your area. You should be able to physically meet him or her in their office at an accredited lending facility. While this is not a hard and fast rule, a local lender will have more expertise in your market and will offer a greater accessibility should something go wrong with your loan. I know right where my banker’s office is, and she would hate it if I showed up mad on her doorstep one afternoon. There is more incentive for them to treat you well. Most importantly however, the lender you chose should compliment your buying experience and make you feel as informed and comfortable as possible. This also goes hand in hand with your realtor as well. There are real estate agents and mortgage lenders who specialize in helping first time homeowners accomplish their dreams. There are lots of lenders out there. 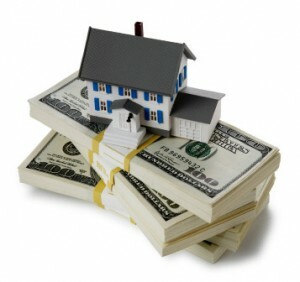 You will need to provide the lender with sensitive personal information including your income, assets, and liabilities. Thus they must posses a high level of competence and professionalism. So, you can afford to be picky. If you do not like his or her attitude, rates, fees, office, or even dress code and sense of style for that matter, go find a lender that you do like. Shop around until you find one that offers you everything you are looking for both emotionally and financially. I really, really hate to be a Debbie Downer, but that satisfying feeling will probably only last as long as it takes for your lender to sell off your note post-closing. For us, that was about three months. Eventually, all mortgages become the property of Bank of America. I would suggest finding a lender that also manages mortgages, but that also probably restricts your choices to Bank of America class banks. So I would go with the bank that offers the lowest interest rate, ueber alles, and make sure your law-talking guy goes over the contract with a fine-toothed comb. We got our last mortgage from Ing Direct. They have really great rates, but won’t be in your local area. For our closing, they had a representative from a local title company come to our house to sign the papers. However, I wouldn’t recommend them for everybody. Their main product is only a 5 – 7 year mortgage. If you plan on paying your house off before then or plan on moving before then, it should be a great way to go. A really nice and informative article especially relevant for this financial turbulent time. Always ask for reference when looking for a mortgage lender. Internet and word of mouth are other two good options. Look for the intricacies of total interest and if there are any hidden charges.